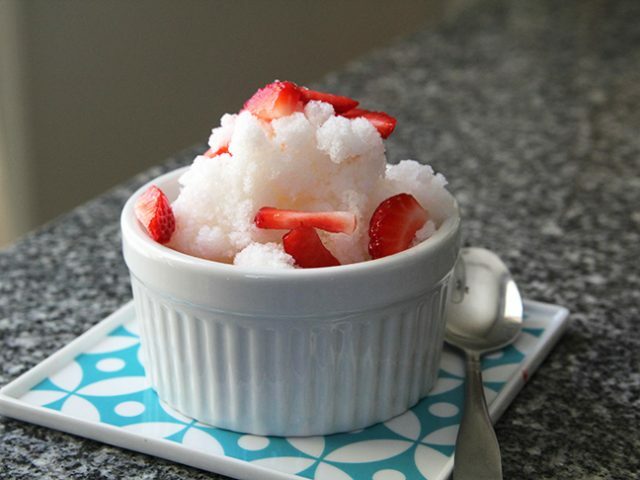 On a snowy winter day when my kids were tired of being cooped up a few years ago, I grabbed a giant measuring cup and a bowl, and together we whipped up snow ice cream—a strangely satisfying concoction that is somewhere between a snow cone and homemade ice cream. With a slightly icy texture and a smooth, sweet flavor, it’s delightful. Heck, it must be. My kids beg to make it every time we have a snowstorm. And really, I don’t mind. It takes only a few simple ingredients—ones you probably already have in your kitchen—and good timing. It can only be made when there is freshly fallen snow (and it needs to be a storm that drops at least four inches, so you don’t end up grabbing dirty snow or scraping the ground during collection). 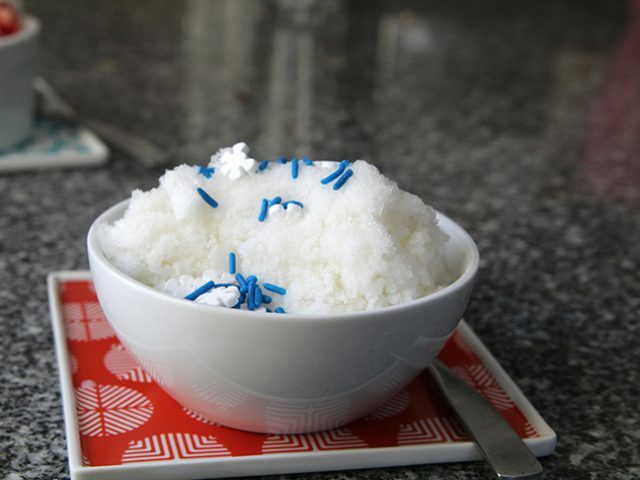 So the next time you need to occupy your kids during a snow day, try this easy five-ingredient (including the snow) snow ice cream recipe. First, gather your ingredients (everything but the snow). 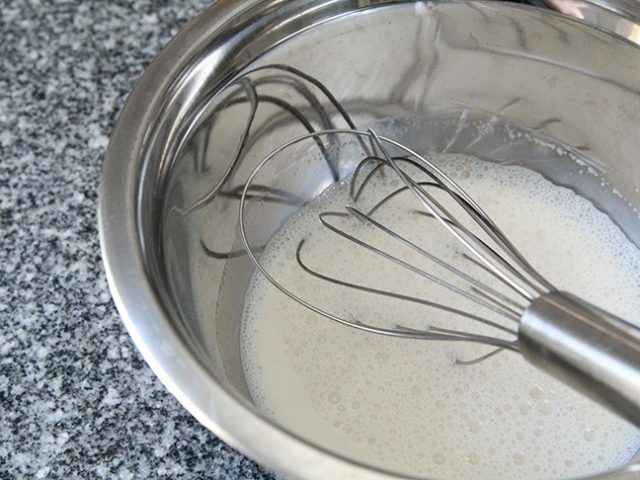 Whisk together the milk, sugar, vanilla extract, and salt. 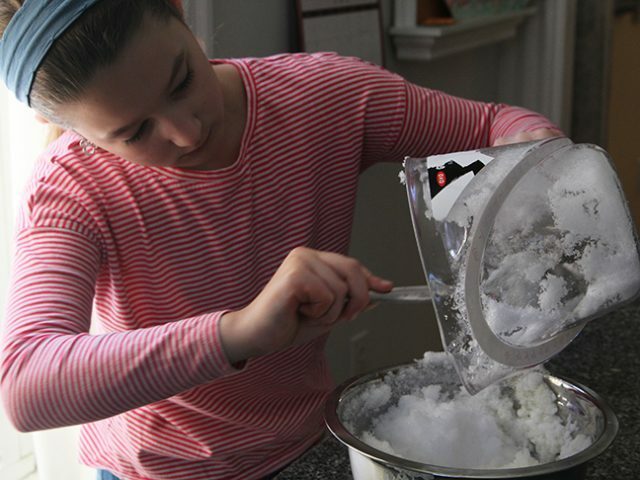 Chill the mixture in the freezer while you collect the snow. Whisk in the snow until you can’t whisk anymore. Then, add the remaining snow and stir to combine. What’s really awesome about this recipe is that kids can mostly make it themselves with a little supervision. 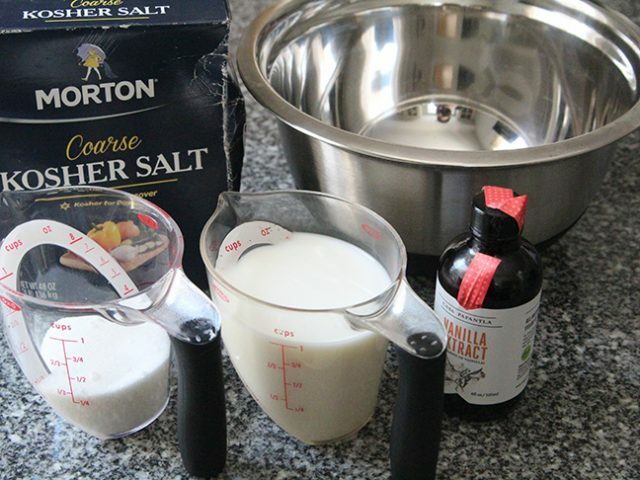 Step 1: In a large mixing bowl, whisk together the milk, sugar, vanilla extract and salt until fully combined. 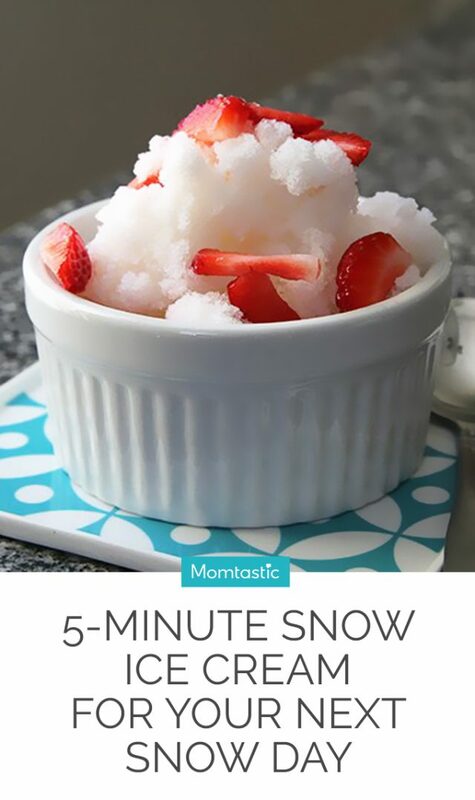 Set the bowl in the freezer for 10 minutes. Step 2: Gather the snow. 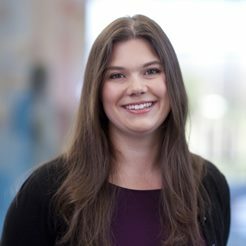 Do this right before you add the snow. Make sure you're only using fresh, just-fallen snow. Step 3: Remove the bowl from the freezer, and whisk in the snow a little at a time until it's too thick to whisk anymore. Stir in the rest of the snow. Step 4: Divide between bowls and top as desired. Enjoy!